William Edgar Simonds (1842-1903) is the only man from Canton to have been awarded the Congressional Medal of Honor, to be speaker of the Connecticut House of Representatives (1885), or to be elected to Congress (1888). He also served as U.S. Commissioner of Patents (1891-1893). Simonds was born and raised in Collinsville and started working for the Collins Company at age 17. He attended the Connecticut Normal School at New Britain, now Central Connecticut State University. He’d begun work as a schoolteacher when at age 19 he enlisted to serve in the Civil War. At the battle of Irish Bend Louisiana he risked his life when he crawled through a cane field while under heavy fire to rescue men from his unit who had become isolated in a no-man’s land between opposing forces. Rose Terry Cooke (1827-1892) was a poet and short story writer. Her work appeared in popular and well read magazines of the second half of the nineteenth century, among them Scribner’s Monthly, Harper’s New Monthly Magazine, and The Atlantic Monthly (including the premier issue in November 1857). “In her 50 years of writing, one may trace the development of the short story in America, from unlocalized, leisurely, sentimental tales to simple histories of commonplace people set in real locales,” according to the Oxford Companion to American Literature. Dr. Solomon Everest (1760-1822) is known as the “father of Canton” because he was first to sign the petition to the legislature to make Canton a separate town. He served as a surgeon in the Revolution. A well respected physician in Canton for many years, he also represented the town in the General Assembly and at the state constitutional convention of 1818. 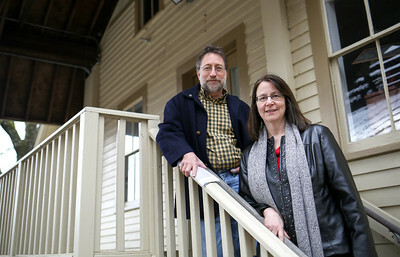 He lived in a Georgian colonial home at the corner of Lawton Road and Albany Turnpike, now the site of the UConn Health facility. UConn Health recently dedicated a plaque in Dr. Everest’s honor. Dr. Everest is buried in the Baptist Cemetery on Canton Springs Road. Acting out family letters and stories, and accompanying herself on songs of the era in front of projected period photographs, Judy Cook offers a reality-based glimpse of life during the Civil War. Judy performs in character, based on the published letters of her own great grandparents and images of the time, from her book, A Quiet Corner of the War: The Civil War Letters of Gilbert and Esther Claflin, Oconomowoc, Wisconsin, 1862-1863. Hear about real instances of rebel guerrilla attacks, food and hygiene difficulties, daily pastimes of soldiers, and more. From the home front, learn of Esther’s challenges of running a farm and raising children on her own. To learn about her performances, visit www.judycook.net. Everyone is welcome, and registration is requested to ensure sufficient seating. For information or to register please call (860) 693-5800, email bvanness@cantonpubliclibrary.org, or visit www.cantonpubliclibrary.org. Canton’s rich agricultural past is no secret but as hundreds of residents take a daily by Canton Clay Works in Canton Center, they might not realize the importance of this site. The Canton Creamery Association, Inc., built in the 1890s, was a cooperative that once churned 400 pounds of butter a day. Milk and butter produced on the site were sold to dairies in the New Haven and Hartford areas. “This building is a testament to how important agriculture was in Canton,” Town Historian David Leff said. The creamery site is just one of more than 60 included in a brand new Driving Tours of Historic Canton, a new multi-media online guide, in four sections, provided by the town of Canton. Marji Rose and Cheryl Scott look over some of the prints that will be sold next Sunday during a sale and celebration of the work of the late Nancy Douglass Cloutier. Next Sunday’s art sale and gathering at the Canton Historical Museum not only benefits an organization devoted to preserving the town’s history but will also showcase the work of one Canton’s most influential creative spirits. From 4 to 7 p.m. on March 15, the Canton Historical Museum will hold a sale, reception and gathering featuring the artwork of the late Nancy Douglass Cloutier, long-time printmaker, multi-media artist and a passionate member of the Canton Artists’ Guild. Cloutier’s daughter, Marji Cloutier Rose, donated numerous prints to the museum after talking to volunteer and family friend Cheryl Scott. She figured it would be a great way to help the museum’s building fund, while highlighting her mother’s artwork. First Selectman Richard Barlow at the Canton Historical Museum’s Gallery of Trees Gala on Nov. 22. Collinsville Savings Society’s contribution to the Gallery of Trees. Canton Historical Museum kicks off its 6th annual Gallery of Trees with an opening gala the evening of Nov. 22. “It’s a wonderful opportunity to get into the holiday spirit,” said Cheryl Scott, museum volunteer and gala committee member. The event takes place from 6:30 to 9 p.m. on Nov. 22 at the museum with refreshments and live music by Tom Haynes, lead vocalist and keyboardist for The Tirebiter Band. Cost is $20. The Canton Historical Museum hosted its third annual Oktoberfest on Friday, Oct. 3.